Thanks to the overwhelming support of the community, we were pleased to present a check to the Samaritan Center for $5,040.00 for their utility assistance program to help low-income families in central Missouri pay their utility bills this winter. In addition, we collected 150 pounds of food. We served 512 people at the fundraiser on October 25, 2018. West Main Pizza Members of the Jefferson City Area Board of REALTORS, Inc. 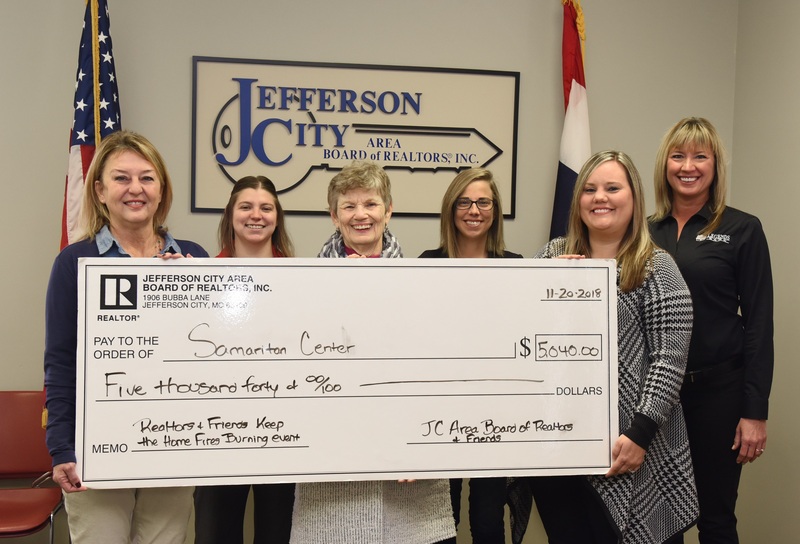 The Jefferson City Area Board of REALTORS is proud to partner with the Samaritan Center to assist the families in our community. The Samaritan Center provides a wealth of services to area families in need and to assist those families in becoming self-sufficient.